(KANSAS CITY, Mo. — September 1, 2009 // CDMRP Release ) — New research on treating Gulf War Illness (GWI) was presented today at the Military Health Research Forum (MHRF), a scientific meeting hosted by the Department of Defense (DOD) Congressionally Directed Medical Research Programs (CDMRP). GWI is a condition that affects approximately 25 percent of service men and women who served in the 1990-1991 Gulf War. It is characterized by symptoms including fatigue, headache, joint pain, sleep disturbances, and memory problems, and is potentially a result of the veterans’ exposure to toxic elements during their time on duty. 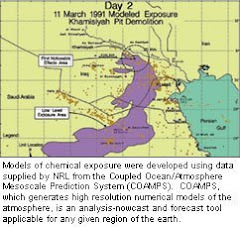 The study was funded by the Gulf War Illnesses Research Program (GWIRP) and managed by the CDMRP. The GWIRP strives to improve the health and lives of veterans who have GWI by supporting innovative research to improve its diagnosis, to better understand its pathobiology and to identify effective treatments for its array of symptoms. Principal Investigator: Julia Golier, M.D., Bronx Veterans Medical Research Foundation, Inc.
A large percentage of Gulf War veterans – estimates range from 34 to 65 percent – continue to suffer from chronic multisymptom illness, also known as GWI. Symptoms can include fatigue, joint pain, headache, rash and cognitive problems, which may reflect altered regulation of the hypothalamic-pituitary-adrenal (HPA) axis. The HPA axis is responsible for regulating many things in the body, from the immune system and energy usage, to controlling reactions to stress and trauma. Abnormal functioning of the HPA leads to negative effects on many systems in the body, including the immune system and the nervous system. 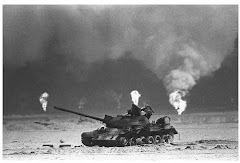 Studies have shown that veterans of the 1991 Gulf War have an enhanced neuroendocrine response to a specific type of hormone called glucocorticoids. The increased physical response is [also] associated with chronic fatigue syndrome, fibromyalgia and post-traumatic stress disorder, all of which can occur with chronic multisymptom illness. This study aims to determine if mifepristone, a glucocorticoid receptor antagonist, could decrease the enhanced response and therefore improve the physical and mental health and cognitive functioning of Gulf War veterans. Researchers from the Mount Sinai School of Medicine in New York and the James J. Peters VA Medical Center in the Bronx are evaluating veterans of the 1991 Gulf War with chronic multisymptom illness but without any exclusionary psychiatric or medical conditions. All subjects will be treated for a six-week time period with the mifepristone compound and then, a month later, treated with an alternative compound (placebo) in a crossover design. Researchers will then evaluate physical health, cognitive functioning and mental health in subjects and determine if there is improvement in these areas in relation to mifepristone administration. A webcast of the Presentation with PowerPoint slides and corresponding audio is available online. The Gulf War Illness Research Program (GWIRP) strives to improve the health and lives of veterans who have Gulf War Illness by funding innovative research to improve its diagnosis, better understand its pathobiology, and identify effective treatments for its array of symptoms. In the GWIRP, Gulf War veterans participate equally with research professionals on review panels and play a pivotal role in maintaining an appropriate focus within the program. For the 2008 fiscal year, the program offered three award mechanisms to support research in the pathobiology, detection and treatment of GWI. In 2009, the program is offering two award mechanisms focusing on development of treatments and one award mechanism focusing on pathobiology and improved diagnostics. To date, the GWIRP has funded 9 awards from 2006 with approximately 12 more approved for funding from 2008 that are still in negotiations. Nearly 700,000 men and women served in the 1990–1991 Gulf War. Population-based studies consistently indicate that as many as 225,000 of these veterans experience a variety of symptoms including chronic headaches, widespread pain, persistent fatigue, gastrointestinal difficulties, respiratory conditions, skin irritations, and cognitive problems. These symptoms are potentially a result of exposure to neurotoxins including pesticides and anti-nerve agents. Gulf War veterans are also twice as likely to develop amyotrophic lateral sclerosis (ALS, also known as ‘Lou Gehrig’s Disease’) than the general population, though the reasons for this incidence are not yet understood. Although the research community has answered some medical questions pertaining to Gulf War veterans’ experiences, more extensive knowledge of GWI pathophysiology and effective treatments for these various symptoms are still needed. Department of Defense-funded GWI research began in fiscal year 1994 with the establishment of a Gulf War Veterans’ Illnesses Research Program (GWVIRP) to study the health effects of service members deployed in the 1991 Persian Gulf War. From the mid-1990s to 2005, the United States Army Medical Research and Materiel Command’s Military Operational Medicine Research Program (MOMRP) managed the GWVIRP. Research pertaining to GWI was also funded intermittently through the Congressionally Directed Medical Research Program’s (CDMRP) Peer Reviewed Medical Research Program. The MOMRP shared management responsibility for the GWVIRP with the CDMRP in fiscal year 2006 with separate $5 million appropriations. Although the GWVIRP did not receive funding in fiscal year 2007, a $10 million appropriation in fiscal year 2008 renewed the program, under the new name GWIRP, for full management by the CDMRP. In fiscal year 2009, a congressional appropriation of $8 million continued the GWIRP. Congress also directed separate funding for ALS research through the CDMRP in 2007 and again in 2009.